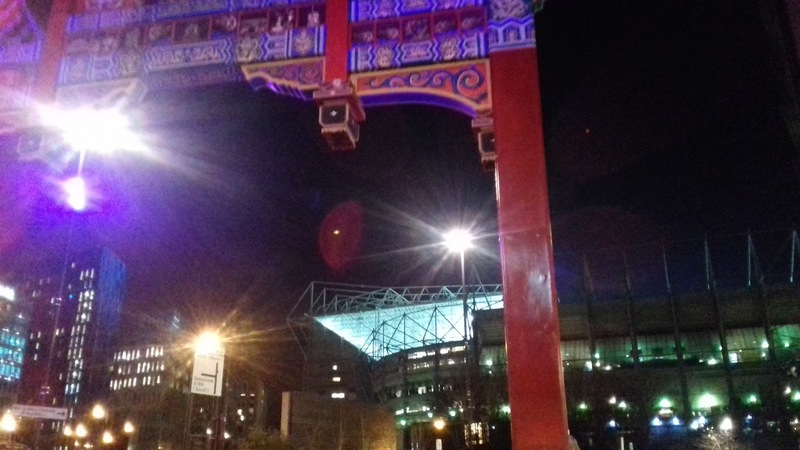 ST JAMES' PARK FROM CHINA-TOON! We gan into Sunday's game lookin for wor forst home win in the leegue for nearly 4 months! We are now just one point above the drop zone with just 12 games left 'to save wor skins'! New loanee Islam Slimani iz expected to start up front and wor othaa new boy Kenedy iz expected to supply him with 'through balls' and hopefully GOALS! If yoo were a bettin man/woman yi wouldnt give us much chance against the 2nd best team in the leegue, but this IZ NUFC and anything can happen! Actually, Jose haz said some very nice things about us! They are beautiful matches but difficult matches! I like to go there--I like the feeling of going to Mr Robson's home! (Bobby)-- I like the stadium! I think the stadium is really nice! I like the atmosphere, they are a good enthusiastic crowd! I LIKE THE GEORDIES!, I like to go there!" By Sunday we could well be in the bottom 3 shud othaa results gan against us on Saturday, but we can anly hope and pray that this isnt the case come Sunday afternooon! As we have ne game tomorrow, some of lads have asked me to drive them to Stranraer tomorrow (in mee 9 seater transit van) for their home game v Arbroath! They are groundhoppin and aim to complete aall Futbaall Leegue and Scottish League groonds by the end of this season! They have visited aall groonds south of the border and have 4 to de in Scotland, namely Stranraer, Inverness, Ross Coonty and Peterheed! Therefore a Stranraer match report of sorts will appear here eventually!--weathaa permittin'! Wor planned game in southern Scotland iz OFF! Luckily we foond oot before we left the Toon! A mixture of heavy rain and several inches of snow were forecast in the Stranraer area! Just az well its been caalled off! EH! Stoke's failure to score a last minute penalty meenz that we sit in 17th place and just above Stoke on goal difference! Even a defeat today will meen we will still be 17th----A win would propel us up to 13th place! We shall soon find oot! Correction! Uddersfield play Bournemooth in the orly kick and if they win we WILL be in the bottom 3! Thats all for now folks!---Must dash to catch the bus to The Bodega! Toon match report will follow on Munday!